I recently sold my first home and had an interesting experience. Here are some of the things I learned throughout the process. 1. 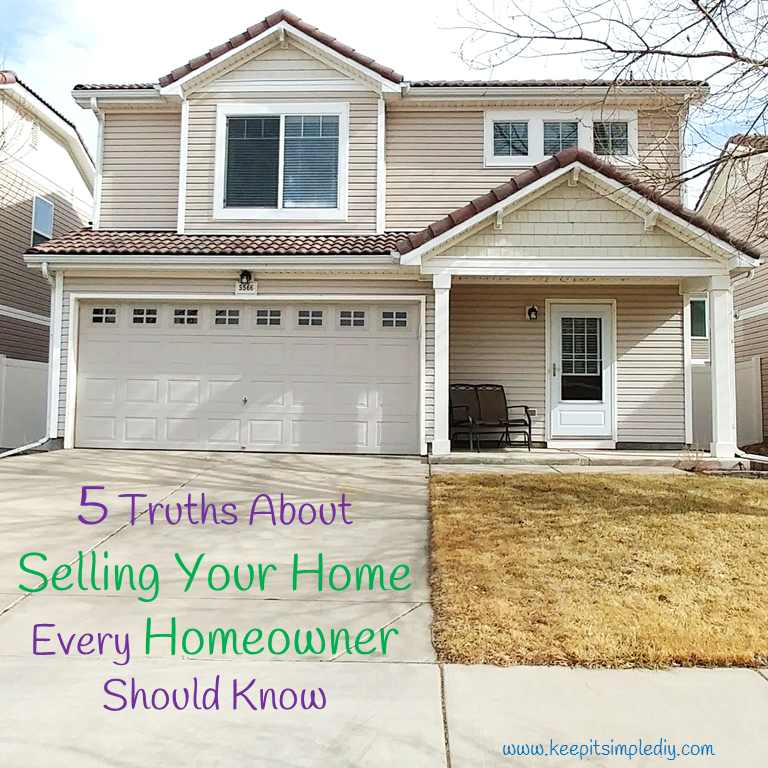 You really do need a realtor to help you sell your home. I feel like I’m pretty decent at social marketing. I mean I do it for the blog every day. But what surprised me most is that I was unable to get any real leads off of marketing my home as a fsbo (for sale by owner). I did put home up for sale as a fsbo long before I actually needed to sell it. This was a good thing because I still had plenty of time to get a realtor. 2. Selling a home is expensive. 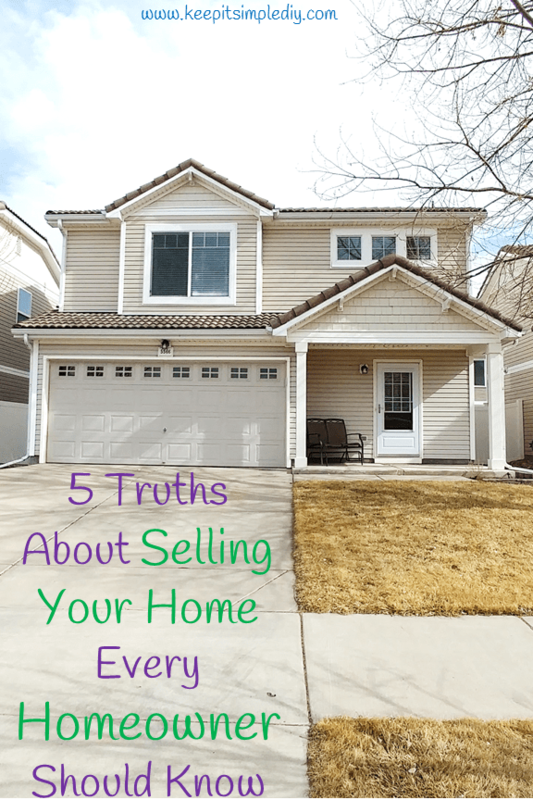 Yes, it costs a lot of money to sell a home. Usually it seems buying something is what costs money. With houses though, selling costs a lot too. First off, you have realtor commissions. Which can be up to 3% for the seller’s agent and 3% for the buyer’s agent. That’s upwards of 6% of your sale price. On a $300,000 house, that is $18,000. Talk about a fee! I got lucky and ended up paying around 3.5% on my house because I found a realtor with a great deal. Then, most likely during the process you will be asked to fix something on the property. Depending on the buyer, you may not have to fix anything but you could have some pretty hefty charges. Just hope that all of the big dollar items are in working condition. 3. Selling a house is time consuming. Many realtors make it sound like they are going to do all the work for you. They make it sound easy. Well no matter how much they do, it is still extremely time consuming. First you have to get the home show ready. That could mean redecorating or just doing a deep cleaning. Realtors may bring in someone to stare for you but you are on your own with deep cleaning. Then you have the meetings with the realtor/s. Meeting with more than one realtor is a great idea so you can get the best deal. Some of them can just be pushy and talk on and on though. Then when your home is listed, you will have to leave for the showings. Technically, you don’t have to leave but it is better to leave. When I was house shopping, I would never really look around if the owner was home. Showings can come at any time of day and with little to no notice. It’s best to plan to be out of the house for the whole first weekend. Then be ready to stop what you are doing at any time to accommodate showings. It surely may sell and hopefully will sell but there are many things that can happen. I had three offers when I sold my house. The first offer backed out because they decided the home was too far from their center. The second backed out because they weren’t going to be able to afford it. The third offer got under contract. You would think people would think everything through before they put an offer in on a home. They should think about where they want to live and their commutes. Their lender should advise them if a home would not be affordable for them. I would also home the lender wouldn’t let the buyer go to their mad when purchasing a home. That is just recipe for foreclosure and another market crash. Unfortunately, nobody is helping to advocate for the buyer’s unless they have a really good team. When all works out and you get under contract, you still can’t rest your shoulders. There is still the inspection and appraisal and possibly a sewer scope. The buyer can back out at any of these moments or ask for extensive repairs. After all the hard work and wondering if you will ever sell your home, it pays off. The home sells and you have that weight lifted. All of the headaches are gone, and you are free to move on to your next journey. And if you’re lucky, you will make a hefty profit. these are great tips hun. The couple across the street tried to sell their home without help and it stayed vacant for a long time. I suppose they were trying to avoid the cost of using a realtor but when you weigh it against paying the mortgage, paying the realtor is actually cheaper in the long run. Awesome tips! I recently sold my house, and couldn’t have done it without my realtor! We have moved many times and sold many homes. We actually prefer to sell privately and have had great success with it, but like I say, we have moved a lot! My tip to people would be, expect the unexpected, anything can happen but it will all work out in the end. Myself and my boyfriend are saving up for a house now. Great tips! It is a long process but I hope that when we are ready we are prepared! These are great tips! My mom is a realtor and id say she agrees with all of these!